Education is important for building a more Mindful world; thus, teaching is one of our noblest professions. Teachers help shape our future by enlightening the minds of our children. According to the National Center for Education Statistics, there are more than 3.7 million working elementary and secondary school teachers in the United States. One of these teachers is Agnes Zhelesnik, a Mindful hero, who just celebrated her 100th birthday making her America’s oldest working teacher. On January 10, 2014 the Sundance School’s faculty members and students gathered to honor teacher Agnes Zhelesnik . In the decorated auditorium they sang “Happy Birthday” to Zhelesnik and presented her with cake. Michael Giordano, their local mayor of North Plainfield, New Jersey, read an official proclamation honoring Agnes Zhelesnik for her extraordinary service. Congratulatory letters to Zhelesnik from President Barak Obama and Gov. Chris Christie were also read. Zhelesnik was born on January 12, 1914 in West Virginia. Born to Lithuanian immigrants, Zhelesnik’s family eventually settled in Bayonne, New Jersey. 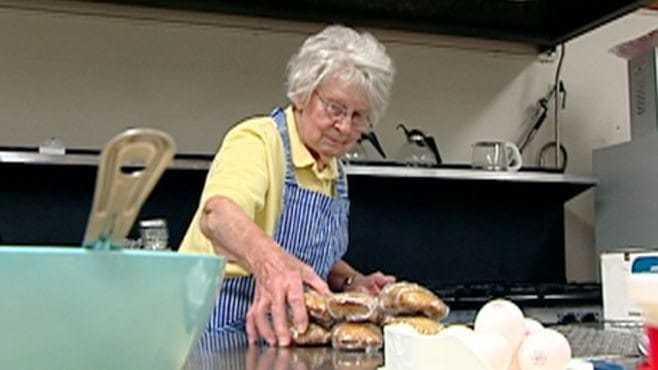 She married her husband in 1938 and spent the majority of her life as a loving wife, mother, and homemaker. As time went on this doting mother, grandmother, and great-grandmother decided that she wanted a change, so Zhelesnik took up a job as a teacher at 81 years old.